If you’re new to cooking, or looking to improve your culinary game, using inadequate kitchen tools can be unnecessarily frustrating. 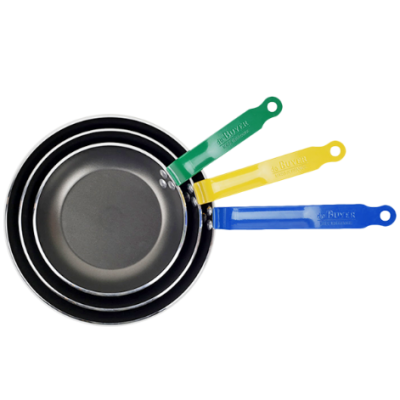 Quality tools perform better and seldom need replacing: think stainless-steel measuring cups, wooden cutting boards, cast iron cookware and forged knives. Choose wisely now, and more than likely, you will have also chosen well for later. 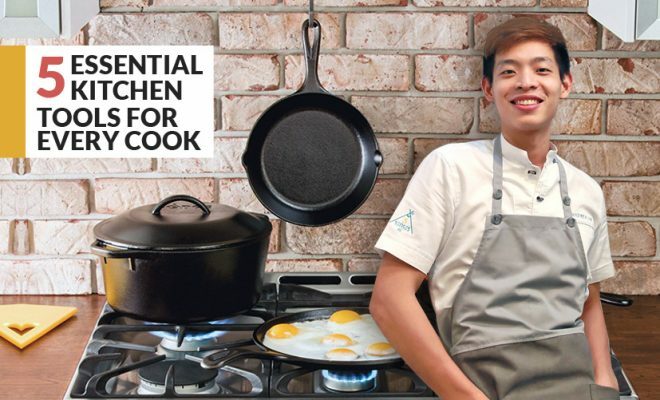 We have a chat with Chef Andrea Lim, F&B Director of 5 Senses Bistro at ToTT, and he shares with us his absolute must-have tools in the kitchen. Let’s get started! 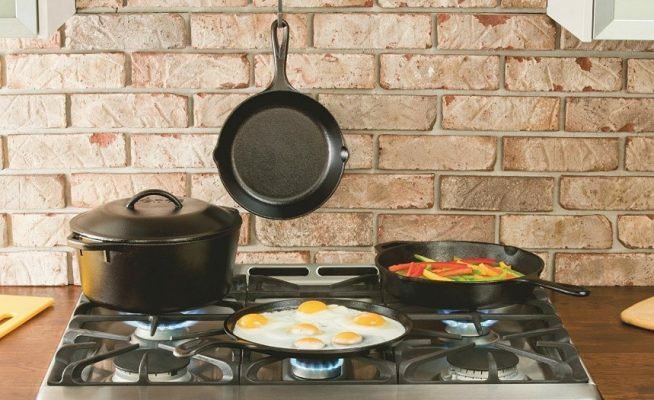 Contrary to what many people say, taking care of a cast iron pan is not all that difficult. Once you’ve cooked with it, rinse it under hot water while scrubbing with a brush. Soap isn’t necessary, unless you really feel the need to. Most importantly – never, ever leave your cookware to soak in the sink! Instead, dry it immediately, then put it on the stove to let any moisture evaporate. Once it’s fully dry, add a few drops of oil (use one with a high smoking point) and massage the oil in with a towel until you’ve rubbed all excess oil off the pan. 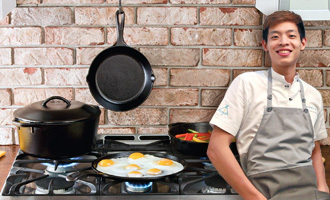 A non-stick coated frying pan is definitely a useful tool to have on hand for perfect eggs, pancakes, frittatas and the likes – basically, dishes you don’t want to get stuck to the pan halfway through that chef-like flip of the pan! Unlike your cast iron skillet, a non-stick pan should never be heated up till it’s smoking hot or your risk the non-stick finish vaporising. And it goes without saying that you shouldn’t use metal utensils on non-stick surfaces 😉 Ready to try out some recipes with your non-stick frying pan? This Dutch Baby Pancake will make for a perfect breakfast! Along with a good set of knives, a good cutting board is one of the most essential and most often used tool in your kitchen. While it may seem straight-forward, there is a lot that goes into the making of a quality cutting board. 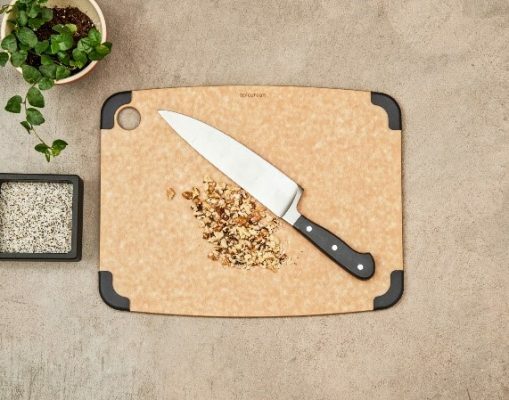 Since you will be using your board almost every single time you cook, take time to research and invest in a durable, high-quality cutting board that will last for years to come. Check out our quick guide to cutting boards to make an informed decision. Whether you’re stir-frying or not, a wok is one of the most versatile cookware you can own in the kitchen. It is probably the best vessel for deep-frying – its wide shape and ability to hole large volumes make it easy to do a big batch of deep fried food with minimal contact and oil use. 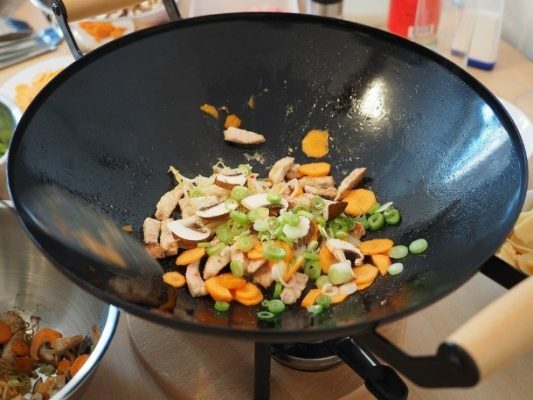 The wok’s larger surface area also helps to produce that deep, smoky wok hei flavour that we are all so familiar with! A casserole is meant for both cooking, baking and serving straight to the dinner table – hence it should be both functional and aesthetically-pleasing. 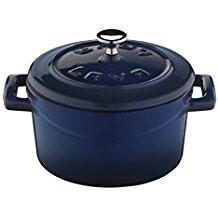 A good casserole (or large baking dish) will heat foods evenly, and store that heat so that your food stays warm throughout dinner. A high-quality glazed ceramic will also make it easier to clean up! *The above promotional prices are only valid from 8 – 17 September 2017, at ToTT @ Dunearn & ToTT @ Suntec.